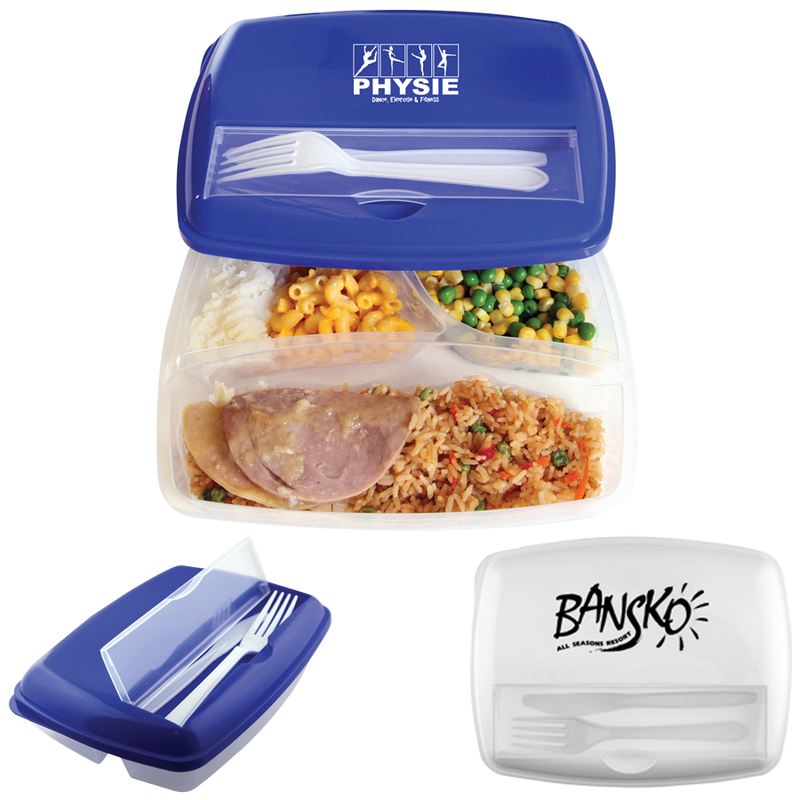 A triple container lunchbox that makes organising lunch easy! Introducing a lunch box with 3 compartments and a utensil holder, designed for storing all of your favourite meals. 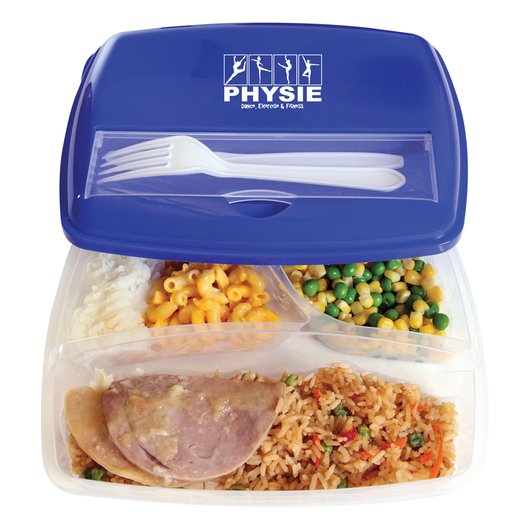 With meal prepping on the rise these lunch boxes have become a popular choice for fitness and other related organisations. 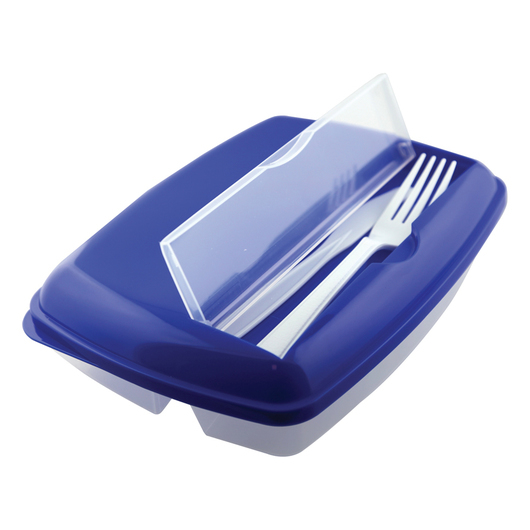 They come with a fork and knife that's stored in the lid but can also hold your own utensils if you prefer.